The Foothills Art Club offers an opportunity to enhance your enjoyment and skills in art. Come and be a part of it! If you are thinking of joining our club, please feel free to come out on a Wednesday evening to meet members and see what we are working on. Foothills Art Club holds a fall and a spring Art Show and Sale, with all members being eligible to take part. We have monthly scheduled ‘open-studios’ or ‘paintouts’ at the Beaupre Hall, west of Cochrane, as well as outside ‘plein-air’ painting sessions during the summer. We have guest presentations and demonstrations by members throughout the year, in addition to weekend workshops led by professional instructors. At least once a month, we have a ‘theme night’ when member(s) will share a special technique or resource and also a ‘critique corner’ night for members to bring their work for suggestions or feedback. The Foothills Art Club is proud to have received a grant from the Alberta Foundation for the Arts. Funds will help us purchase equipment to expand our Show & Sale this fall and next spring. 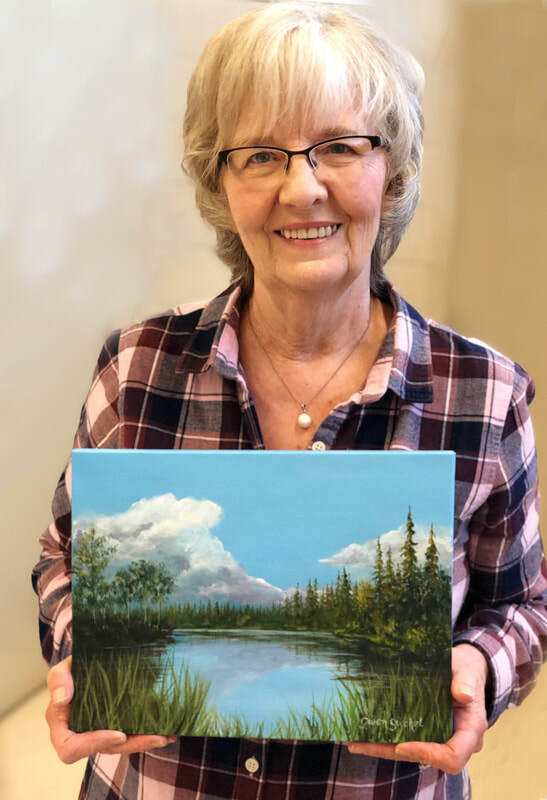 Over the years the Foothills Art Club has benefited from generous grant donations from the Town of Cochrane, Cochrane Foundation and the Bow RiversEdge. As well, the patrons of the arts who come out every year to support our members are greatly appreciated. Visit the Education page to learn about some of the opportunities coming in our season and to see slide shows and videos of ​our past presenters . Also visit the Resources&Links page for some interesting links. On Feb.13 members brought in resources that they have found particularity useful. If you would like to add to this list, please email Fred at foothillsartclub@gmail.com or mention it on Wednesday. (Stop in and thank MacKay's for their tasty donation).